Acts Chapter 7 Star Chart: "So Abram (Castor) departed, as the Lord had spoken unto him; and Lot (Pollux) went with him: and Abram was seventy and five years old when he departed out of Haran. And Abram (Pollux) took Sarai (Castor) his wife, and Lot his brother's son, and all their (lunar) substance that they had gathered, and the (Big Dog & Little Dog) souls that they had gotten in Haran; and they went forth to go into the land of Canaan; and into the land of Canaan they came." (Gen. 12:4-5) (1937 BC). Then clockwise from when "Sarah (lunar eye ball) saw the son of Hagar the Egyptian" (Ishmael -- Coma) "mocking" a (lunar) five-year-old Isaac (Gen. 21:8-9) in 1846 BC till "there appeared to him in the wilderness of mount Sina an angel of the Lord in a (solar) flame of fire in a (Scorpio) bush" (Acts 7:30) in 1446 BC were 400° or "four hundred years" (7:6). 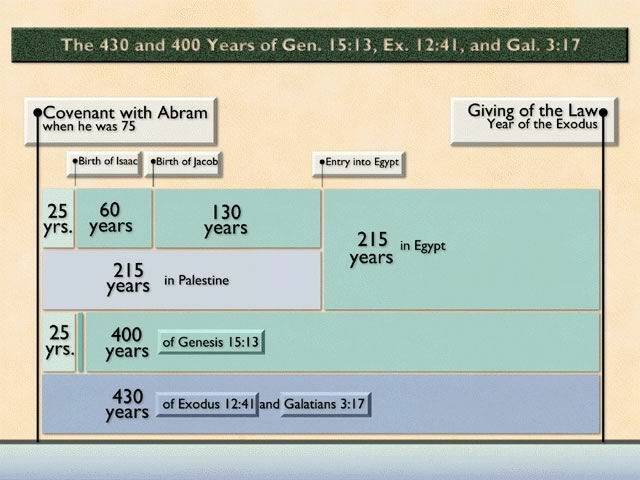 Overlapping this 400°-year period were "forty years" (7:23) and "forty years" (7:30) of Moses' life. Clockwise from when "Moses was born" (7:20) (1526 BC) till he (Centaur) "smote the (Victim) Egyptian" (7:24,28) (1486 BC) were 40° or "forty years" (7:23). Then clockwise from when he (Centaur) "smote the (Victim) Egyptian" (7:24,28) (1486 BC) till "there appeared to him in the wilderness of mount Sina an angel of the Lord in a (solar) flame of fire in a (Scorpio) bush" (Acts 7:30) in 1446 BC is "forty years" (7:30). 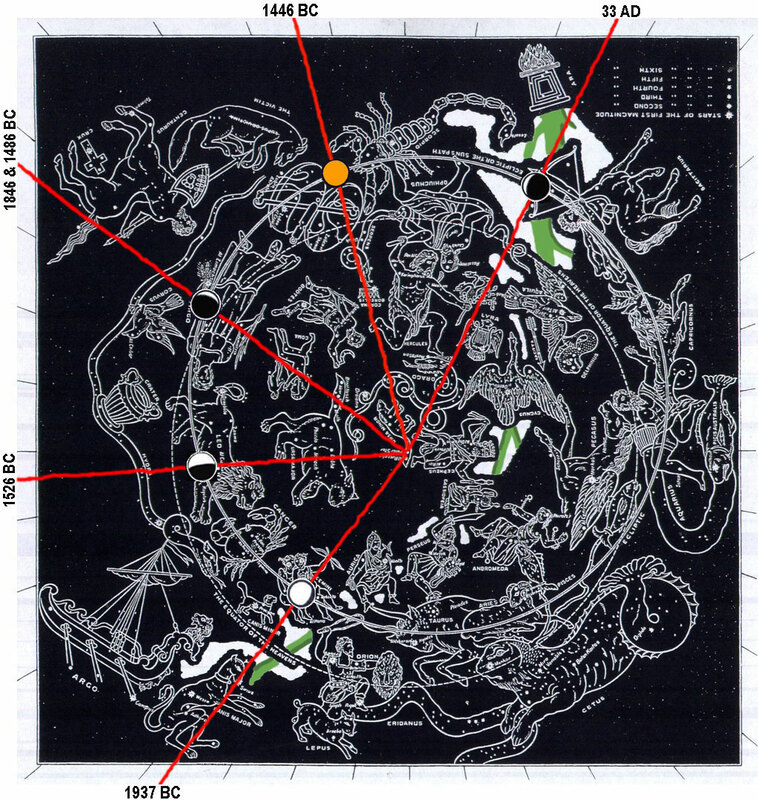 Clockwise from 1446 BC we go 40° more plus four laps which bring us to 33 AD in Sagittarius for Stephen's martyrdom. But who do the constellations really throw their lunar and solar stones at? They throw lunar or solar stones at Cepheus the King when they throw stones at Stephen who was probably placed against a wall. "Inasmuch as ye have done it unto one of the least of these MY BRETHREN, ye have done it unto ME" (Matt. 25:40) and after Saul had persecuted Jesus' DISCIPLES, Jesus said to him, "Saul, Saul,why persecutest thou ME?" (Acts 9:4). Not recorded in Genesis, but implied by Hebrews 11:8; Ge 15:7 and Ne 9:7. No known date but 231° months? before 1937 BC. 4 Then came he out of the land of the Chaldaeans, and dwelt in Charran: and from thence, when his father was dead, he (Pollux) removed him into this land, wherein ye now dwell. "Abram was seventy and five years old when he (Castor with Pollux Lot or Sarah) departed out of Haran" (12:4) in 1937 B.C. 8 And he gave him the covenant of circumcision: and so Abraham begat (Aquarius) Isaac, and (lunar) circumcised him the eighth day; and Isaac begat Jacob; and Jacob begat the twelve patriarchs. 23 And when he was full forty years old (1486 BC), it came into his heart to visit his brethren the children of Israel. What date did this happen? In 1446 B.C. since "he was full forty years old" (Acts 7:23) in 1486 B.C. when he fled from Pharaoh (Ex. 2:15) and "when forty years were expired, there appeared to him ... an angel ... in a flame of fire in a bush" (Acts 7:30) making Moses "fourscore years old, and Aaron fourscore and three years old, when they spake unto Pharaoh" (Ex. 7:7) in 1446 B.C. 33 Then said the (solar) Lord to him (Ophiuchus), Put off thy (Ophiuchus) (lunar crescent) shoes from thy feet: for the place where thou standest is holy ground. 34 I have seen, I have seen the affliction of my (Auriga, Orion and Gemini) people which is in Egypt, and I have heard their groaning, and am come down to deliver them. And now come, I will send thee into Egypt. 35 This Moses whom THEY REFUSED, saying, Who made thee a ruler and a judge? the same did God send to be a ruler and a deliverer by the hand of the angel which appeared to him in the (solar burning) bush. 36 He brought them out, after that he had shewed wonders and (Zodiac) signs in the land of Egypt, and in the Red sea, and in the wilderness forty years. 51 Ye stiffnecked and uncircumcised in (lunar) heart and (lunar) ears, YE DO ALWAYS RESIST the Holy Ghost (Spirit): as your fathers did, so do ye. 54 When they (lunar) heard these things, they were (red radius) cut to the (lunar) heart, and they gnashed on him with their (lunar) teeth. 56 And said, Behold, I see the heavens opened, and the Son of man (Ophiuchus) standing on the right hand of (solar) God. 58 And cast him out of the city, and (lunar) stoned him: and the (Gemini) witnesses laid down their (lunar white) clothes at a young (Auriga) man's feet, whose name was Saul. 60 And he kneeled down, and cried with a loud (red radius) voice, Lord, lay not this sin to their charge. And when he had said this, he fell asleep.